If someone were to ask you to name the world's oldest computer, you'd probably mention The Babbage Engine, Konrad Zuse's Z3 or The UK's Colossus. If you were asked when humanity built the first computing device, your estimates wouldn't go higher than a few hundred years or so. What if I told you that there exists a computer system that was operational almost two thousand years ago? Among this wreckage, there was found something of an anomaly. It was an intricate mechanical construction that would baffle historians and archaeologists for almost a full century before its actual purpose was determined. It was an unprecedented find- a device bearing this degree of complexity had never been seen before, and has not been discovered since. digital imaging to cutting-edge X-ray technology. What they discovered would turn our perception of the ancient world directly on its head. Certainly, we knew that peoples such as the Egyptians and Greeks were capable of some marvellous feats of engineering and innovation. Certainly, we were aware that they utilized many techniques that we still use today. But this...this was something else. 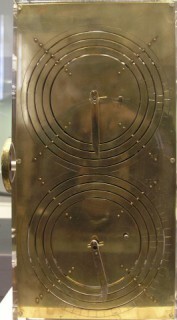 In 2006, members of The Antikythera Mechanism Research Project organized a conference in Athens to discuss their findings. They would release more data in 2008/2009, with a third conference planned for Spring 2011. 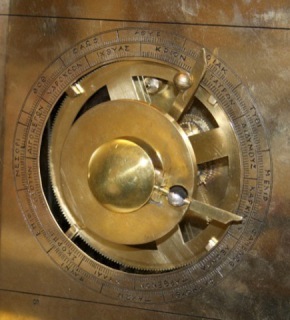 The Antikythera Mechanism is an incredibly complex mechanical computer, the first mechanical computing An attempt to reconstruct The Antikythera Mechanism device ever created- or so we think. Given how intricately and flawlessly designed this artifact is, a lot of people are of the mind that it might have actually had predecessors which we have yet to discover. This particular machine has been dated to somewhere between 150 and 200 BC. But what did it do? And what was its purpose? 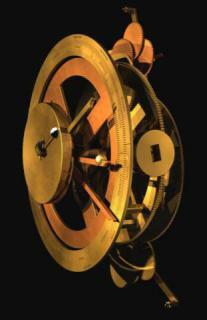 It was evidently designed to track the movement of the planets, and functioned as a sort of mechanical calendar. It was complicated enough that it even had an instruction manual of sorts on the back. Its functions included predicting solar eclipses and keeping track of the four year cycle of the Olympic games. There might have been more, too- but we may never know. And there you have it. The first computer ever constructed. A far cry from the automatic, electronic devices of today, but hey- everything's gotta have a starting point. Looks like this might just be one more thing we owe the Greeks for inventing. It's rather exciting, isn't it? The idea that all of these ancient civilizations may have been well more advanced than any of us could ever expect. 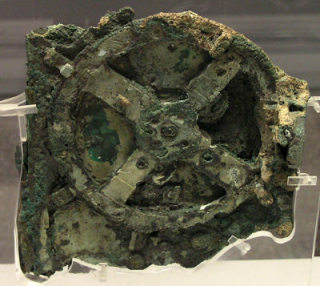 If something like the Antikythera mechanism was discovered on the ocean floor, just think about what else might be out there, simply waiting for us to find it. If you'd like to read through a transcript of the 2006 conference (it's about twenty pages or so), it can be found here. For the article containing the 2008 findings, look here.